The weeks leading up to the Spring Equinox will be a frustrating time with you feeling thwarted and stopped by obstacles. Although it may seem tedious, make sure to focus on your responsibilities this month leading up to your birthday. Lead through example this month by working hard first so that you can play hard later. You have the talent to see the big picture for long-term projects, so as we head into the Spring Equinox, utilize your stubbornness and your strength to be a constant in the change. 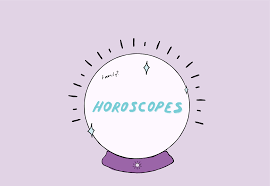 This new trend of variety may be unsettling but no one can weather the storm better than you, Taurus. Remember that your natural common sense is a grounding force for those around you. The Super Moon at the end of March puts you into the perfect position to make progress in your relationships, both familial and otherwise. Your easy-going and agreeable personality combined with the healing nature of the full moon makes the end of March a great time to work through any relationship conflicts and heal past wounds, including your own. The sun begins shifting towards Cancer this month, so whatever you have been working towards is finally going to feel some big waves. You will need to release whatever is holding you back, even if it is something you have been holding on to for a while. This spring has no time for harmful or useless commodities. Use the energy coming from Pisces season to be introspective and think about your emotions, especially any that you may have been avoiding. Lots of emotional processing should take place this month as you start to transition towards the end of the school year. Not all communication will be smooth this month but it is important to keep at it regardless. Venus is in the twelfth house this month so be ready for a big shake up. Your usually calm exterior may be challenged, but do not let anything rattle you. It is important to stay on top of everything so that you do not get too far off track and are able to still meet your goals by the end of the month. The conjunction of the moon and Mars in mid-March means that emotions that were running high will feel a big spike before calming down. Prepare to feel especially emotional for a couple weeks in the middle of March and try your best to stay level-headed. Worry not however, because you will feel relief from these emotions by the end of March. In late March, the moon will pass very close to Pluto, drawing calming energy from our smallest planet. Heading into what is sure to be a stressful season, take advantage of the inspiration directed towards you by Pluto and the moon’s parallel. It is best to avoid isolating yourself though. The moon will be a waxing crescent when it meets Mars this month, signaling the end of a highly emotional time for you. Take a deep breath and leave all those negative feelings in the past. Try to build up some positivity that will come to head at the Spring Equinox. The Juno asteroid belt will cross with the Orion star, creating a powerful celestial time for you. You will feel a surge of energy and determination. As long as you have a clear goal in mind, March will be a very productive month. Do not get too carried away though, and be aware that others may be struggling to be as efficient as you, so have patience. A double shadow transit occurs on Jupiter at the end of March. Jupiter is the planet of wealth and success so you may feel as though these aspects of your life are not going as well during March. But do not worry, because a shadow is temporary and once Jupiter’s moons shift back, everything will be righted once again. At the end of March, Mars joins with the Seven Sisters, a collection of stars that influence familial relationships. This may cause some arguments or small rifts to form for a short period of time. Mars moves away from the Seven Sisters shortly however, bringing back the previous harmony that existed.